Health officials have confirmed hundreds of cases of salmonella infections affecting people in every province and territory as part of a years-long inquiry into outbreaks of the illness. The Public Health Agency of Canada issued a public health notice saying it has identified 566 laboratory-confirmed cases of salmonella since May 2017, when the agency began a collaborative investigation using a new technology called "whole genome sequencing" to help identify and respond to outbreaks. 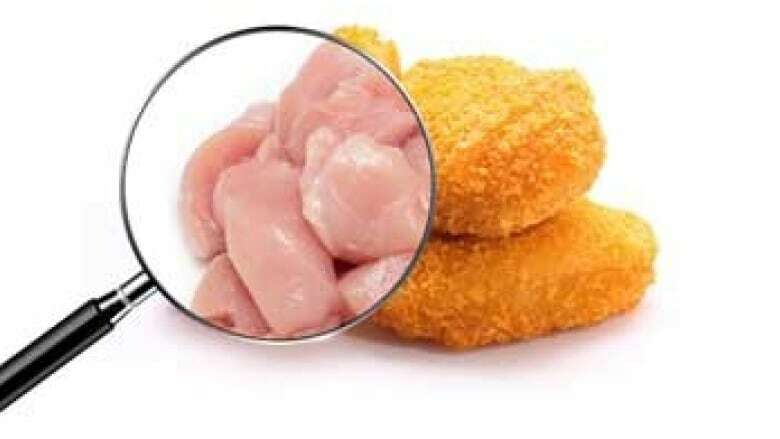 As of March 22, 95 people have been hospitalized as part of these outbreaks, which are linked to raw chicken products including frozen raw breaded chicken. Canadians of all ages and genders have been infected, and three people have died in connection with the outbreaks. In total, the health agencies have identified 17 different salmonella outbreaks linked to 14 raw chicken products. The Canadian Food Inspection Agency (CFIA) has issued food recall warnings for 13 products, while one product was recalled by the retailer. Of the 566 cases, Ontario was most impacted, with 209 people plagued by the illness. As for the rest of the country, 42 cases were reported in B.C., 84 in Alberta, 18 in Saskatchewan, 27 in Manitoba, 115 in Quebec, 30 in New Brunswick, 18 in Nova Scotia, six in P.E.I., 12 in Newfoundland and Labrador, two in the Northwest Territories, one in the Yukon and two in Nunavut. The Public Health Agency is collaborating with provincial and territorial health agencies, the Canadian Food Inspection Agency (CFIA) and Health Canada to investigate three ongoing salmonella outbreaks. 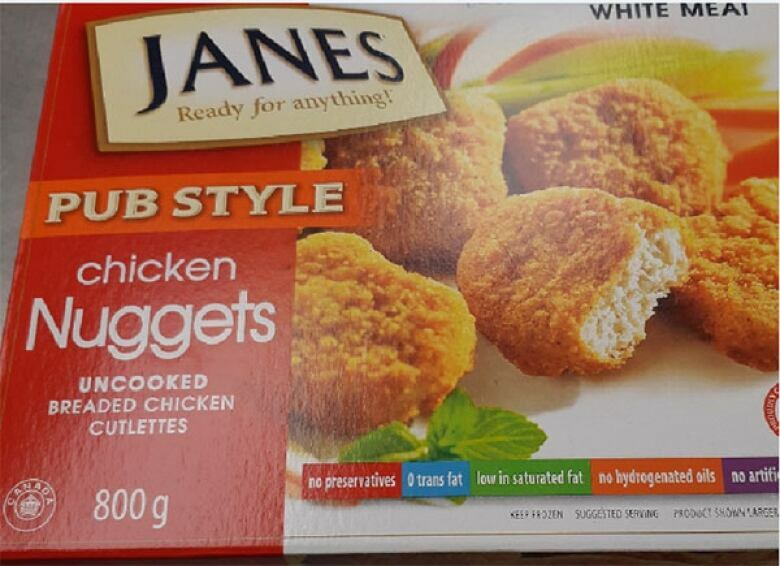 Janes brand Pub Style Chicken Nuggets, Breaded Chicken Cutlettes, Uncooked, (800g), with a best before date of December 15, 2019. The product was distributed across Canada. Recalled by CFIA on March 21, 2019. Currently, there are two cases of illness in Ontario related to this product. No Name brand Chicken Nuggets, Uncooked, Club Pack (2 kg), with a best before date of November 8, 2019. Voluntarily removed by Loblaws Companies Limited on February 8, 2019. Currently, there are 27 cases of illness in six provinces linked to this outbreak: Alberta, Ontario, Quebec, New Brunswick, Nova Scotia and Prince Edward Island. Compliments brand Chicken Nuggets - Breaded Chicken Cutlettes, Uncooked (1.5 kg), with a best before date of July 18, 2019. The product was distributed across Canada, excluding Quebec. Recalled by CFIA on Feb. 27, 2019. Currently, there are 62 cases of illness in every province and territory except Nunavut and the Yukon. Individuals became sick between June 2018 and February 2019. Crisp & Delicious brand Chicken Breast Nuggets (1.6kg) with a best before date of July 19, 2019. The product was distributed in British Columbia, Manitoba, Ontario, and Quebec, and may have been distributed in other provinces or territories. Recalled by CFIA on Jan. 25, 2019. Consumers who have already purchased any of the recalled products are advised to throw them in the garbage or return them to the store where they were originally purchased. Restaurants and retailers are advised not to sell or serve the products. People are advised to wash their hands with soap and warm water immediately following any contact with a recalled product. For more information, visit the Public Health Agency of Canada website.